Humility is the prize of all the virtues, and practicing it well is the key to obtaining all the rest. Penance, fasting, and almsgiving, all highlighted during the Lenten season, are ways to cultivate humility in our hearts, in addition to reciting this beautiful prayer. The Litany of Humility is attributed to Rafael Cardinal Merry del Val (1865-1930) who served as the Secretary of State for Pope St. Pius X. 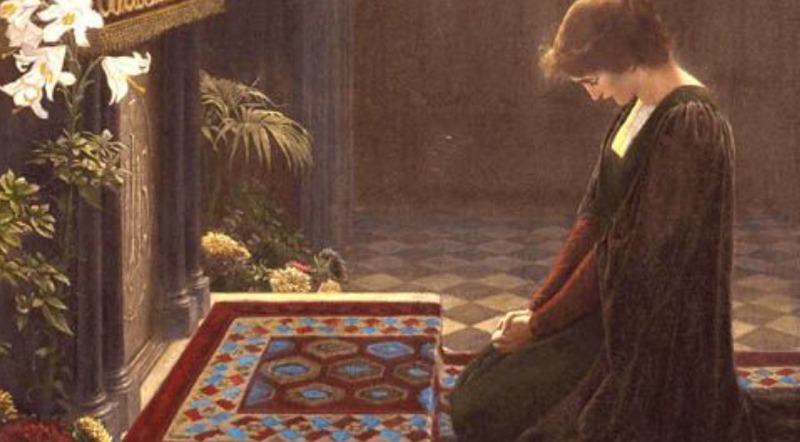 Although this prayer is wonderful to pray regularly when our pride rears its ugly head, it is an especially poignant prayer and meditation for the Lenten season. 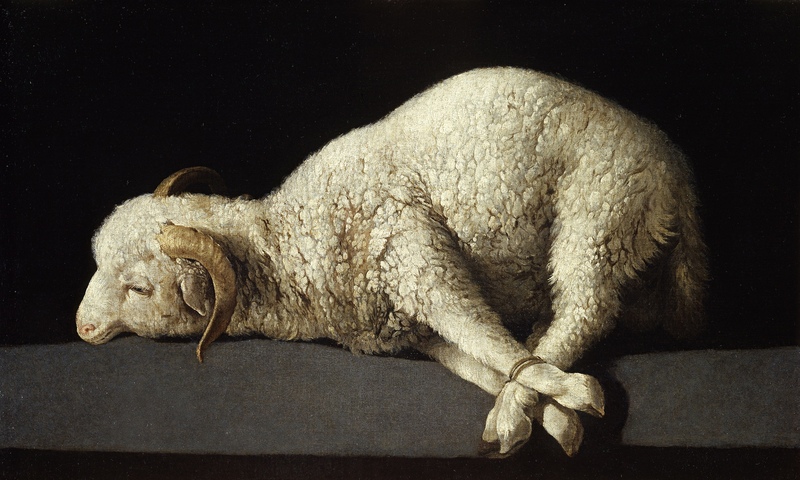 Our ultimate example in humility is our Savior Jesus Christ, who willingly suffered in silence on our behalf each one of the things listed in this litany. That others may become holier than I, provided that I may become as holy as I should, Jesus, grant me the grace to desire it. Amen. This article has been updated and was originally published in February 2013. © The Catholic Company. All rights reserved. To truly love oneself, we must realize our deficiency in light of Christ's sufficiency...and that we are accepted in the completely imperfect state of our humanity. 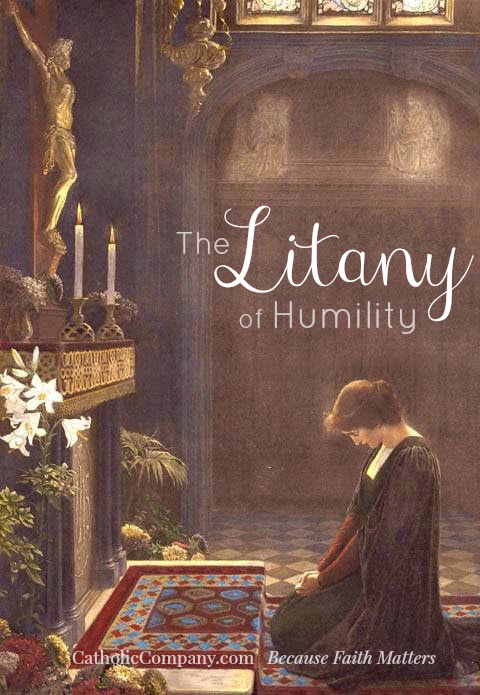 This Litany helps us regard ourselves in our proper context. By recognizing our state, thereby elevating Christ, we have shown the greatest possible love for ourselves. We are no longer in denial. Then our love for self becomes a thanksgiving to God that he calls us sons and daughters...in spite if the reality of who we are. Had forgotten this prayer. Just in time to remind me to practice it. Thanks for posting. The Pieta Prayer Book has this litany and other traditional prayers. It is a simple and inexpensive prayer book. Reading this for the 1st time, brought chills to my body and soul. I do need to say this as much as I can and pray that the words sink into my heart. Being humble is not the easy thing that I thought about. Thank you for publishing this. Is there A PRAYER BOOK WITH THIS ? Wow' I love this prayer! I so need it, to put out all the burning desires of my cold and wounded heart... after all I would not be a good instrument in God's hands if I don't have Humility! Thank you so much. we will be able to practice many virtues as well. I have seen so many references to this prayer in the last week and a half.... I even found one of my prayer books open to the page it's on... I am familiar with it form through the years, but it seems that I am really supposed to be saying it now and with ardent passion... here goes....! And thanks for posting about it! This Litany was not written by Rafael Cardinal Merry del Val (1865-1930), Cardinal Secretary of State of the Holy See under Pope Saint Pius X. The composer was Charles Belmonte. Inspired by some writings of said Cardinal, he wrote it and published it as part of the Handbook of Prayers (Studium Theologiae Foundation, Manila, 1986), and later on by Midwest Theological Forum, Chicago, US. The author wrote: "attributed to Card. Merry del Val". Subsequent copists, jumping to conclusions, wrote: "by Card. Merry del Val". Thank you Velma Valverde. Very helpful. God Bless. knowledge and discernment was very helpful. Thank You! In answer to Ms. Toval, the prayer says to be delivered from the DESIRE. We shouldn't spend our lives always looking and feeding on affirmation and acceptance of others lest it lead us away from Christ. Desire acceptance and affirmation of Christ alone, also when given to you by His true human servants. Pray for discernment and self-knowledge. Due credit must be given: this prayer was composed by Rafael Cardinal Merry del Val. i don't understand, i know we are suppose to decrease and He increase in us, but how can we ask all the above be taken away from us, and at the same time, Love ourselves, so that we can love our neighbors, and most of all, To love God. what about the people who are praying to being a better person, and not be so down on his or herself.